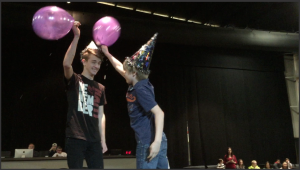 Who doesn’t want to battle a good friend, or even a stranger, with a shaving cream filled balloon. This game gets messy, but there is nothing wrong with that! 1. Party Hats. The nice big ones! The little party favor ones work but don’t look as awesome. 2. Balloons. Find the biggest BUT thinnest balloon! You want them thin so they pop easier. 3. Shaving Cream. Yes… its gonna get messy. 4. Plastic Wrap. Make clean up easier for yourself. Fill up your balloons with shaving cream. There is a certain technique to do this without shaving cream going all over the place. Blow the balloon up and pinch it off. When you have it pinched, squeeze the nozzle just in the top of the balloon and pinch the balloon around the nozzle. Then squeeze shaving cream into the balloon for about 5-10 seconds depending on how much shaving cream you want to use. 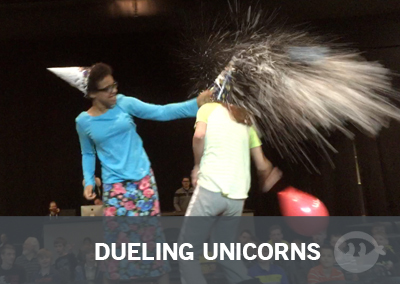 Invite two students to duel against one another. Give each student a large balloon filled with shaving cream and a pointy hat to wear. 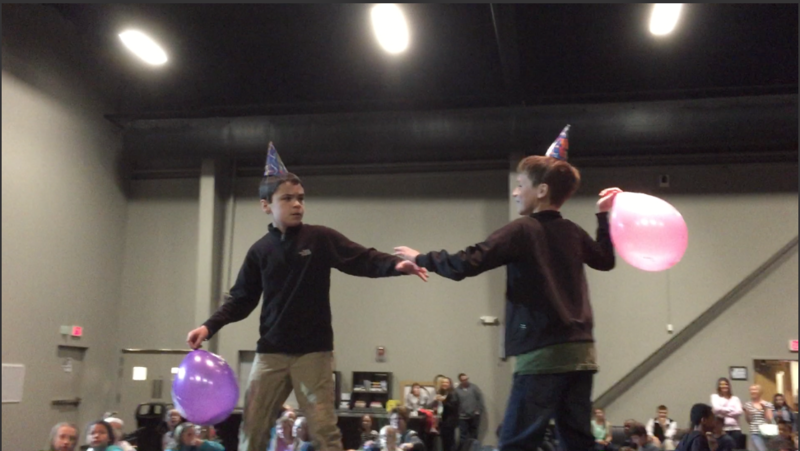 The first student to pop the balloon on the other student’s hat wins!